Book Dimensions: 8 1/2" by 11"
Note: An additional shipping and handling charge will also be included. For all orders outside of the U.S., please inquire about pricing on Amazon and Barnes & Noble. 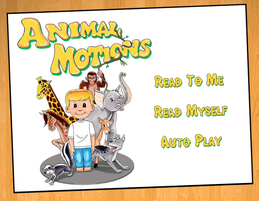 We hope you enjoy Animal Motions! Note: The movements in this book are presented for entertainment purposes and are easy and gentle to do provided they are done slowly in an adequate, safe environment. The publisher, author, and illustrator each take no responsibility (and disclaim all liability) in connection with the use of any of these movements in all individual cases. Follow the movements in this book at your own risk, and if you have any doubts about the suitability of any of the motions mentioned please consult a doctor before attempting. 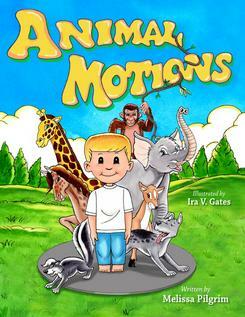 Want to share your opinion of Animal Motions? Please send us your thoughts along with your name, school, group, or media publication to [email protected]. Thank you! Note: All materials received may be used on this website for public view or for other marketing materials deemed applicable for the book or app. Bigger Print Easy to Read! "The large size of this book makes the illustrations come to life. I love bright colorful pictures. The bigger print makes it easy to read to my grandchild." "The illustrations in the book are awesome! My daughter who is three and hasn't learned to read yet loooooooves to create her own stories just by looking at the pictures. It gets her imagination moving!" "The illustrations are bright, colorful, and captivating. They really bring the story to life. I love the concept of this book. I love that it can get kids moving and they don't even realize it! They just think they're mimicking the animals. My six-year-old laughed and loved this book. I also love that the website has lesson plans, and that there is an app that goes along with the story. I would definitely recommend this book for families with toddlers to first graders. It would also be great in preschool, kindergarten, and first grade classes, along with younger dance and gymnastics classes." Perfect Teaching Tool for Working with Young Children! "What a wonderful story Melissa Pilgrim has written for young readers (and those who are young at heart). The vibrant, colorful illustrations and creative movements encourage children to engage their bodies as well as their imaginations as they pretend to be different animals. What a fun way to introduce exercise as a part of every day. As a former daycare provider I would have loved to have this book in my library to share with my kids. We bought extra copies for my daughter—who is working toward becoming an autism specialist— to have as part of her own repertoire and another to donate to the local preschool she attended as a young child and as a teenaged worker. Kudos to Melissa and Ira for one of the best children's books to come onto the market today!" "All the world's a stage and our youngest children can be players right in their own homes through the imagination and experienced hand of Melissa Pilgrim… Clearly she loves to work with children both to get their bodies moving and to get their imaginations charged. The book guides you from one animal to the next and the directions for how to move are simple and well-illustrated. The illustrations lend themselves to caricature which lights each page with a touch of humor and fun along with the bright colors and energy. The author offers lesson plans for preschoolers and for kindergarteners. This would be a favorite for the classroom." Don't forget your FREE Mini-Poster! #1 on Amazon's Top 100 Children's Book Apps July 12 - 14, 2014 during the App's Giveaway Launch! For tweets about fun ways to keep kids creative & active! 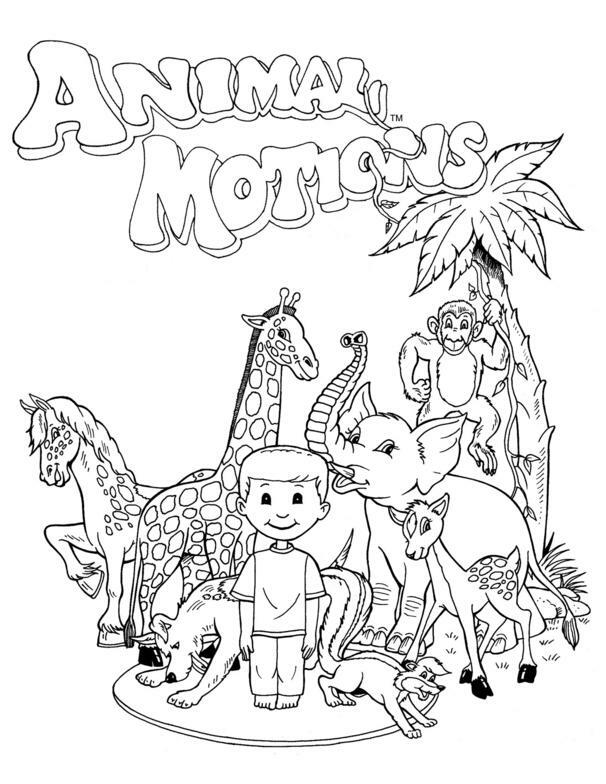 ​* Get "Creatively Fit" with Animal Motions! * 2018 N.H.'s Children's Authors Tea Recipient!